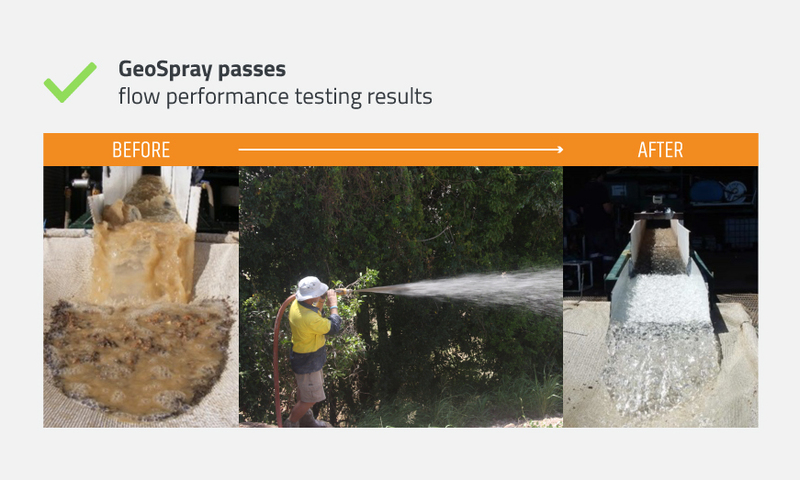 To continue product testing of GeoSpray for concentrated flow performance, we developed a way to simulate flow conditions in an earthen drain constructed in a dispersive, sodic, non-saline clay subsoil. Testing was conducted at LandLoch laboratories in Toowoomba, Queensland. GeoSpray is an alternative to geotextile products that eliminates erosion caused by water, rain or wind. Using a signature spray-on application technique, GeoSpray removes the labour-intensive, time-consuming and costly aspects of laying geofabric and other TRM products. 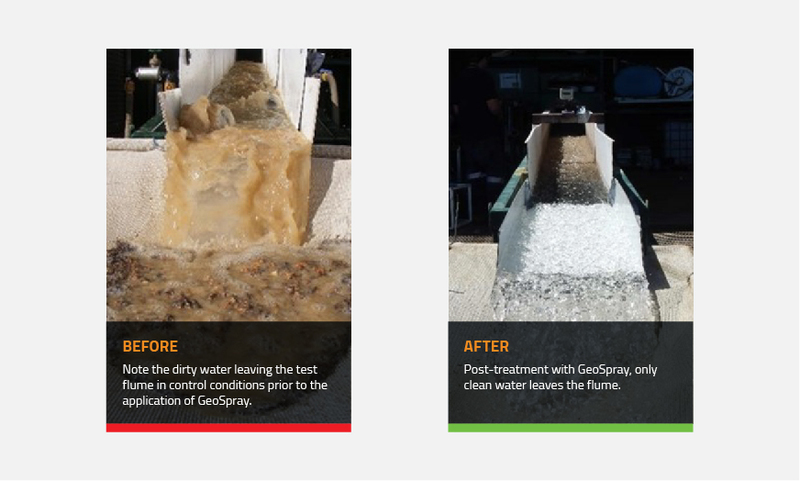 A proprietary blend of minerals, interlocking fibres and speciality binders adhere GeoSpray to the substrate, forming a tough, resilient and flexible cover. This durable cover can move with the ground below, minimising cracking. GeoSpray successfully increased the critical shear stress for initiation of scour (and therefore the maximum permissible flow velocity) relative to the control surfaces studied. In general, applying the product to bare soil increased the surface strength to a point that – at a maximum flow rate (21.5 L/s 1,290 litres per minute) – no erosion of the underlying soil occurred.